Peanuts were first cultivated in South America around 3,500 years ago. They have been found inside ancient graves where they were placed in jars to provide food for the dead in the afterlife. Spanish settlers were said to have been the first to take them back to Europe, from where they spread quickly and with great popularity. When slaves were taken to North America, they were said to have taken peanuts with them. A good source of protein they were also grown for livestock in the early 19th century. Peanuts became a popular food stuff during the American Civil War, where, with food scarce, soldiers saw them as that same source of protein. In 1903, George Washington Carver developed more than 300 uses for peanuts and was understandably given the name, “Father of the Peanut Industry”. The snack food has not looked back since. The US peanut industry is worth over four billion dollars a year. It has been recorded that fruit has been dried as a food source for over seven millennia. Specialist dehydrators are used for the mass production of the 21st century. 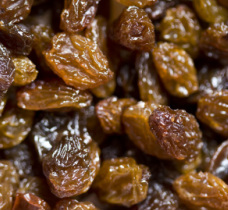 Almost half of dried fruit sold are raisins. Cleverly, they are put in little boxes and claimed to be one of a child’s five a day, by those marketing geniuses. While there are some traditional dried fruits that are conventionally dried, some are infused with sucrose syrup, such as blueberries and cranberries. Pineapples, for example, are candied fruit, even when sold as dried fruit. There are many varieties of Rice Cake, most of which have been popularised in Asia. A Rice Cake is effectively rice that has been moulded or shaped into a form with a binding substance. In its snack form, a couple of the varieties include Klepon, which are balls of glutinous rice flour with red coconut sugar that is boiled or steamed – the balls are rolled in coconut. Lupis is a variation of this. Another tasty treat is Lemper, which is formed from similarly glutinous rice with a chicken of fish filling. However, as a bagged snack - Like Pretzels, bagged Rice Cakes have an original big brother. The modern form of bagged snack includes a formed cake from puffed rice, which are created by heating rice kernels under steam pressure. Originating from Japan, the snack’s big brother is generally just about 50 calories, which makes the bags of small, flavoured versions, popular with dieters.